What is Keralite® Fire-Rated Glass? 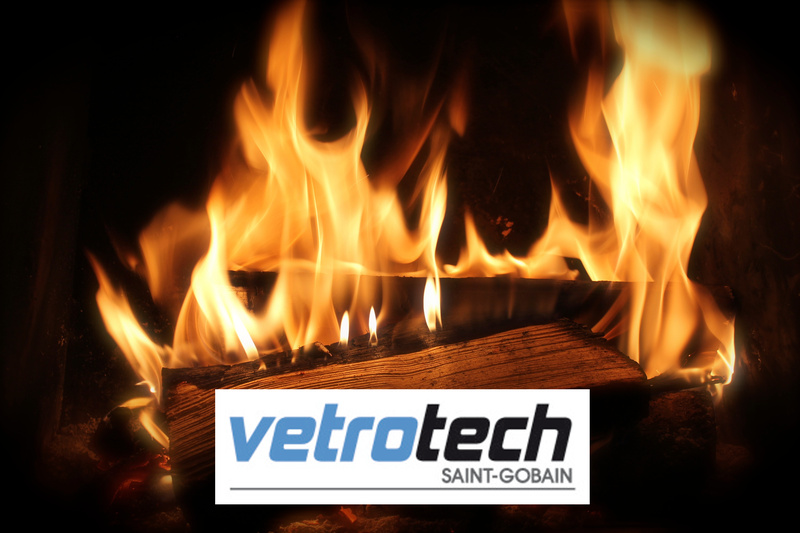 "Vetrotech Saint-Gobain added Keralite Select to it's Keralite product line. Keralite Select combines surface polishing technology with advanced composition to achieve the sharpest, most accurate color-viewing glass ceramic in its class, according to Vetrotech. Manufactured as either Keralite Select F with C/af-inch thickness or Keralite Select L with E/af-inch thickness, Keralite Select is recommened for larger glass sizes in impact-rated areas where clarity and sharpness is desired. The glass, which installs into standard fire-rated frames and doors, has been tested to meet 20-, 45-, 60-, 90-, and 180-minute fire ratings. Up until 30 years ago, wire-mesh-embedded glass filled an important role providing fire resistance in commercial buildings as well as added security in detainment facilities and hospitals. However, traditional wire glass is not safety glass. Now architects rely on the multiple fire-rated glass or fire-rated glass ceramic options to meet required fire-resistance ratings without unsightly wires, and with the addition of impact resistance. But glass ceramic glazings have a tradeoff - typically an amber-colored cast and more distortion and haze than float glass. Within the last 10 years, glass ceramic manufacturers including Vetrotech have improved the transparency to the point that the natural, but unwanted, color was nearly invisible. Keralite Select achieves a color-rendering index of 97.1, out of 100, and has the lowest haze value of 0.5 percent with no cloudy appearance even in variable lighting conditions, according to Vetrotech. Higher quality raw materials and a unique manufacturing process help ensure that the physical and optical properties are close to those of standard float glass. The high ratings for color clarity offered with Keralite Select meet the aesthetic goals of building design professionals and the decision-makers at schools, hospitals, and commercial buildings who require products that comply with increasingly stringent fire codes and also demand an aesthetic quality comparable to float glass, according to Vetrotech. In schools and other public buildings, the result is doors that are safe and secure—with a look that feels welcoming, not institutional."